Cheese as an Appropriate Biotechnology? One of the Center’s mandates is to study the biotechnologies that make up human food systems. Cheese is one of the earliest, non-obvious and most widespread biotechnologies in use on the planet. 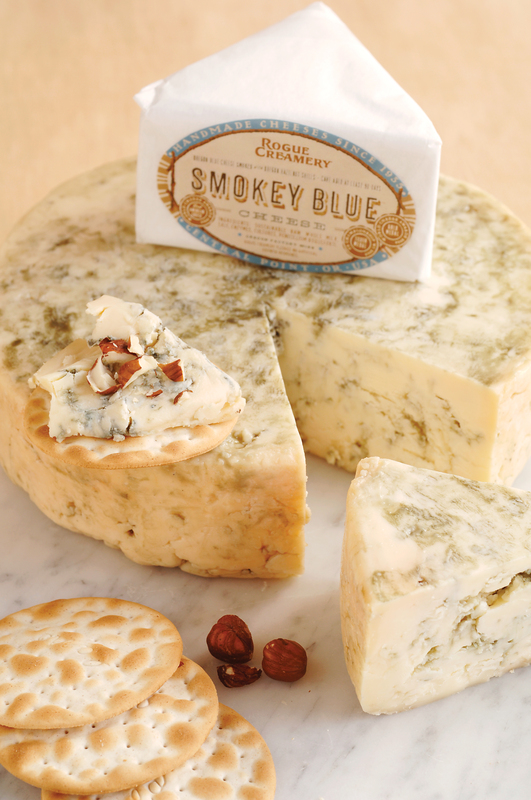 Each regional cheese had different combinations of [raw/pasteurized, rennet type, milk type]. We asked our diners what they thought the advantages and disadvantages of privileging the above characteristics in a technology were. Some of the diners helped us define (as well as challenge the idea) that there are “inappropriate” technologies. Some diners were shocked that Genetically Engineered rennet is used in the industrial production of cheese in the U.S. Explicitly naming cheese production a “biotechnology” and comparing it to the range of other biotechnologies and controversies surrounding food is one way the Center has tried to open up a space for eaters to taste and talk about difficult topics. 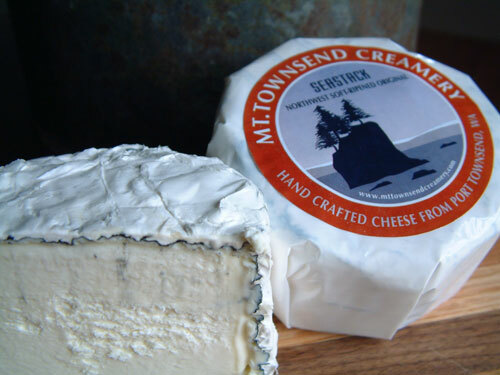 Controversies in cheese making include: ongoing debates about pasteurized vs. raw milk cheeses, and the role of rennet. GMO-Microbial rennet is used more often in industrial cheese-making because it is less expensive than animal rennet. 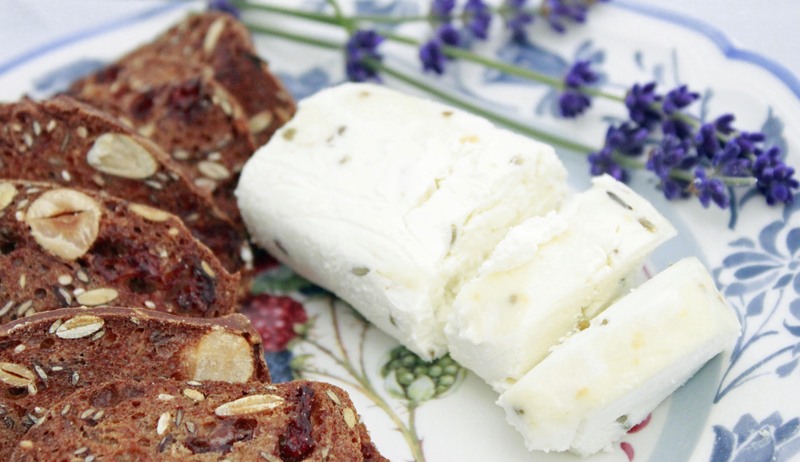 Traditional cheeses from Europe must legally be made using rennet from animal stomachs. There are also cheese innovators that use vegetable-based rennet substitutes to create entirely new cheeses. Â Once you create a cheese plate with each of these kinds of cheeses, and explain the rationale for each kind of rennet, it is clear that the matter is much more complex than simply tradition vs. innovation. Even the legal regimes for how cheeses are named are periodically contested. In 2002, the U.S. FDA issued a warning letter to Kraft that Velveeta was being sold with packaging that inaccurately described it as a “Pasteurized Process Cheese Spread.” Instead of complying with the label’s requirements, Kraft rechristened Velveeta “Pasteurized Prepared Cheese Product,” a term for which the FDA does not maintain a standard of identity. The legal regime for cheese in the U.S. seems to do two things well: protecting the trademarks rights and proprietary processes of large industrial producers, and creating designations such as Pasteurized process cheese food that seek to protect consumers by explicitly stating the components and nutritional value of cheese, based on nutrition science and chemistry. In the EU, the Protected Geographical Status tends to protect the rights of geographic and cultural traditions. If a cheesemaker wants to use the trademark name of a geographical indicators, they need to explicitly follow rules and processes that are available publicly here. So although some kinds of innovation are discouraged (most PDO protected cheeses require the use of animal rennet instead of vegetable rennet) the processes are public, and the naming conventions are based on the traditions of a geography and culture. Also, because the U.S. does not follow this EU convention, it can sell commercially produced imitator cheeses such as “Parmesan” cheese instead of Parmigiano-Reggiano cheese. However, when American imitator cheeses are sold in Europe they need to have different names so Kraft’s “Parmesan Cheese” becomes “Pamesello Italiano”. In the US Kraft is protected via tm and cbi. In the EU Parmigiano-Reggiano is protected via pgs/pdo. And what of artisanal or small scale cheeses in the US? What portions of the law are favorable or not to their processes and business? Like any biotechnology: cheese is as much about the cultural and legal as about the scientific and technological. The Center recently held it’s first Planetary Sculpture Supper Club. We wanted to commemorate our fruitless but ongoing search for the Fish Tomato. Genomic Gastronomy wanted to draw attention to the “search for the fish tomato,” a tomato genetically engineered with fish genes in an effort to resist frost. 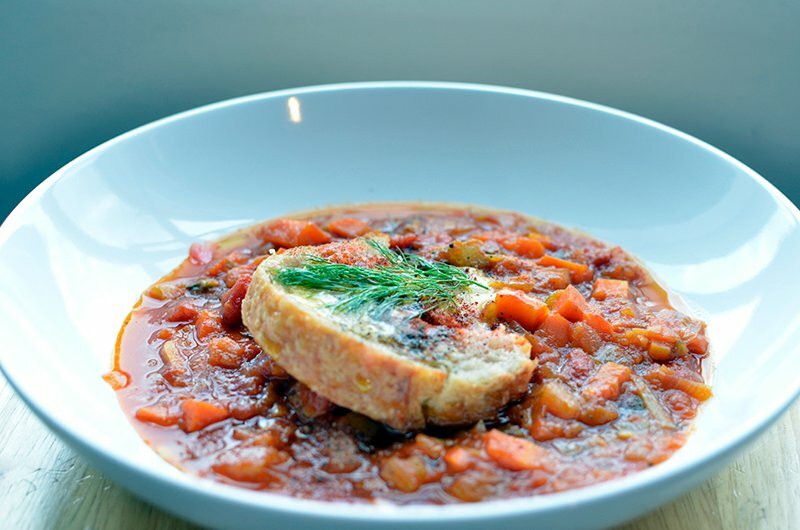 This idea made them think, fish + tomato=bouillabaisse, and they thought it would be a fun/interesting challenge to make a vegetarian bouillabaisse to underscore the tomato theme. It was a challenge to give it depth and flavor without any fish or seafood and that’s why I worked really hard on the finishing ingredients. So the broth is all traditional bouillabaisse foundation: tomato, saffron, white wine, onion, celery, carrot, fennel, leeks. instead of the traditional sauce rouille that accompanies bouillabaisse, I wanted to do something lighter and also linked thematically to the rest of the menu. So I made a lemony aioli (whisked by hand, using Wag eggs, which are hella expensive, but their yolks are amazing) and put that on a pa amb tom quet with smoky spanish paprika. I was making an overture to the later Old/World course of gorilla meats sausages and polenta that I made. So I was thinking about Spain, cultural collisions. Spanish but a resistant subculture to the dominant Castilian power: Catalan. So pa amb tom quet is a traditional Catalan dish, so simple, of toasted bread, scraped with a clove of garlic, rubbed with a cut tomato half and then drizzled with olive oil. The pimenton again is a nod to Christopher Columbus and exploration, as it is reported that Christopher Columbus brought pimenton to Spain after his second voyage. The smoky paprika also gave some depth of flavor to the tomato dish.